Geekbench 3 is Primate Labs’ next-generation processor benchmark, with a new scoring system that separates single-core and multi-core performance, and new workloads that simulate real-world scenarios. 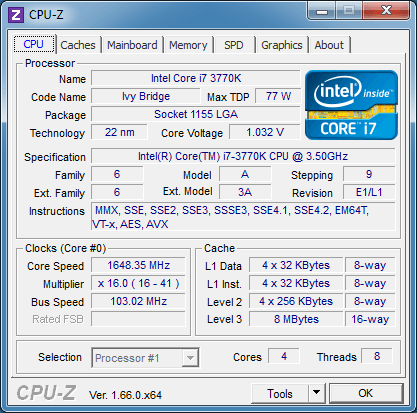 Geekbench 3 makes it easier than ever to find out if your computer is up to speed. 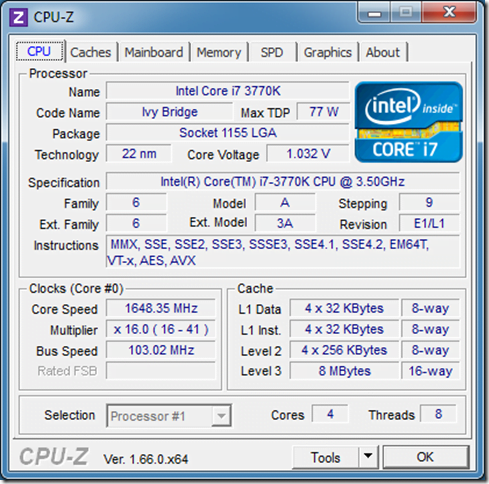 There is also a new 1.66 version of CPU-Z, that has support for some upcoming processors, such as the Intel Xeon E5-2600 v2 series (Ivy Bridge-EP). I have gone through and made some minor updates and bug fixes for all of my SQL Server 2012 Diagnostic Information Queries for this month, along with adding two new queries at the end of the script. The links for the queries and the blank results spreadsheet are below. About half of the queries are instance specific and about half are database specific, so you will want to make sure you are connected to a database that you are concerned about instead of the master, system database. The idea is that you would run each query in the set, one at a time (after reading the directions). You need to click on the top left square of the results grid to select all of the results, and then right-click and select “Copy with Headers” to copy all of the results, including the column headers to the Windows clipboard. Then you paste the results into the matching tab in the spreadsheet. There are also some comments on how to interpret the results after each query. Please let me know what you think of these queries.